Earlier this month an alarming figure emerged from FICO that indicated ATM skimming was up 546% when comparing 2014 to 2015. In light of these figures Coastal Heritage Bank wanted to pass along some tips that can help keep your debit card out of the hands of counterfeiters. Eye Check. Always check the ATM for any physical irregularities. This can be colors that don’t quite match between the rest of the ATM or on screen graphics that are not properly aligned with buttons. In most cases the card reader and keyboard should be firmly attached. If you can move them easily this is an indication that either a keyboard or card reader overlay has been placed on the ATM. Location. 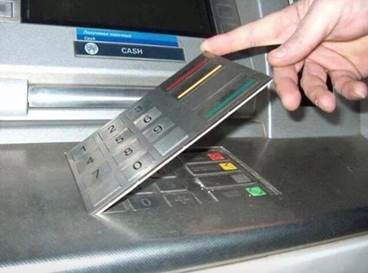 According to the report 60% of the skimming incidents occurred at non-bank ATMs. A simple way to help mitigate your risk is only use ATMs that are on Bank property. Copyright © 2019 Coastal Heritage Bank. All Rights Reserved.